Are you constantly in fear of a burglar attack or the intrusion of your house by criminals? Well, how long will you continue to live in anxiety because of these notorious criminals? Everyone has loved ones at home and we all want them safe. So, it is high time to not be intimidated but to fight to back. That is why you must invest in the right security measures for this purpose. It is not enough to hire strong guards outside the house anymore. Since the criminals have become smarter, you have to be smart too. Opt for high-quality home security systems which can not only monitor but also inform the authorities in case of an anomaly. We, at D & S Security, can be a great choice for such an equipment. We have been in this business since 1987 and have catered to the various people for their security requirements. Right from the CCTV cameras to the fire alarms, our products are equipped with all the advanced features required to prevent a crime. So, if you are from areas including Anaheim, Burbank, Long Beach, Los Angeles, or Torrance, you can count on us. Here, we have put together a list of reasons why home security is essential. Take a look. Even if there is no criminal activity, it is important that you always keep an eye on your house, especially if you have children or the elderly at home. Sometimes, there might be accidental fire or any other emergency which lead to the compromising of your safety at home. Most of the security measures, these days, are focused on the detection of the criminals but it is also essential to prevent the crime from happening in the first place. 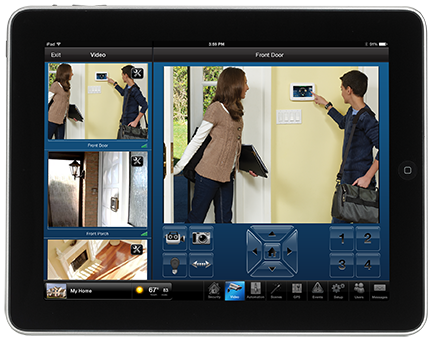 If you opt for security systems at home, it will warn the criminals beforehand that they are likely to get caught. And they will refrain from doing so in the first place. So, if you want to purchase our home security solutions, then contact us today.